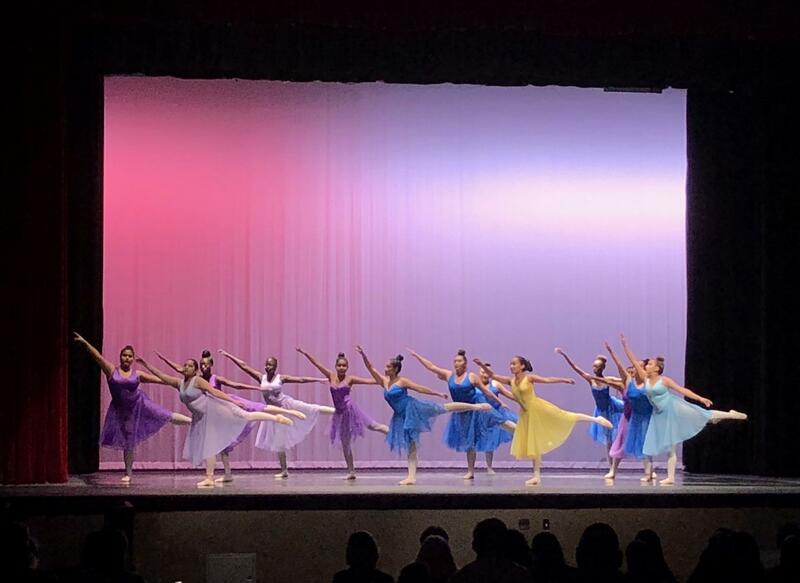 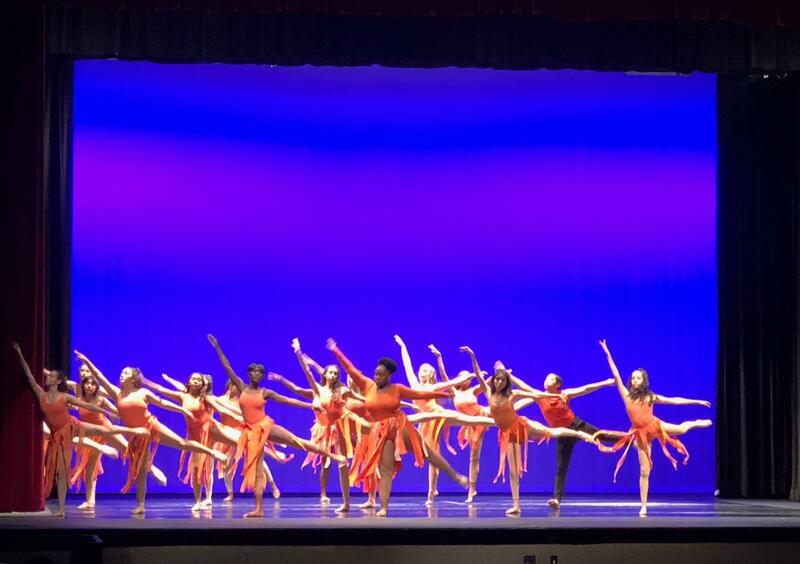 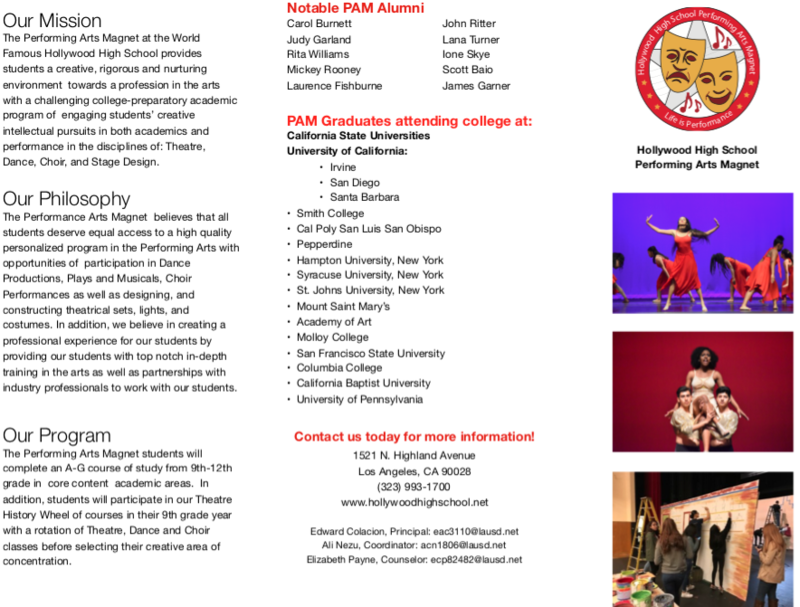 The Hollywood Performing Arts Center enables its students to study the arts and to realize the value of the role that the arts play in the human experience. 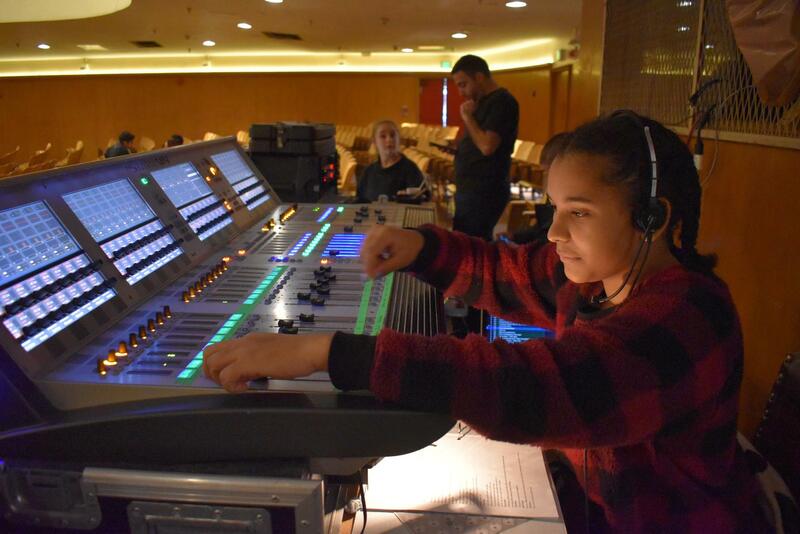 Students acquire and extend their knowledge, develop their potential for lifelong amateur or professional endeavors in the arts. 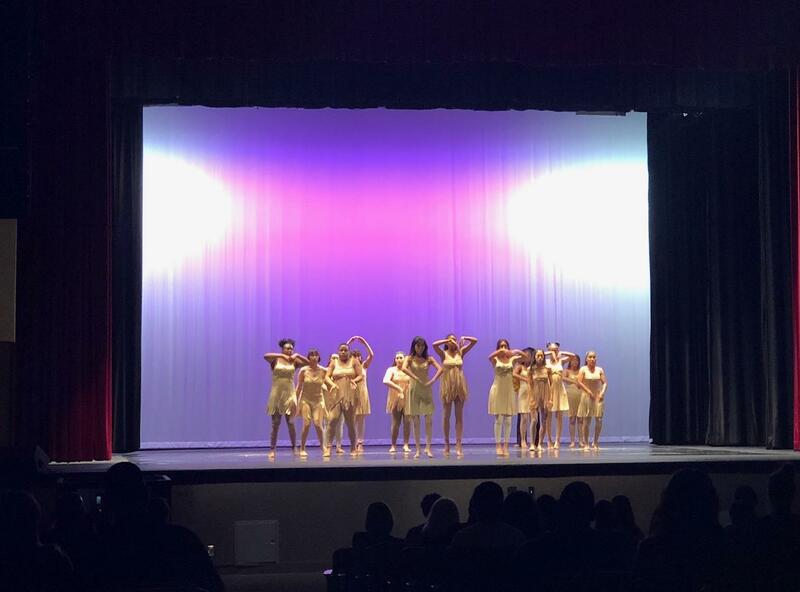 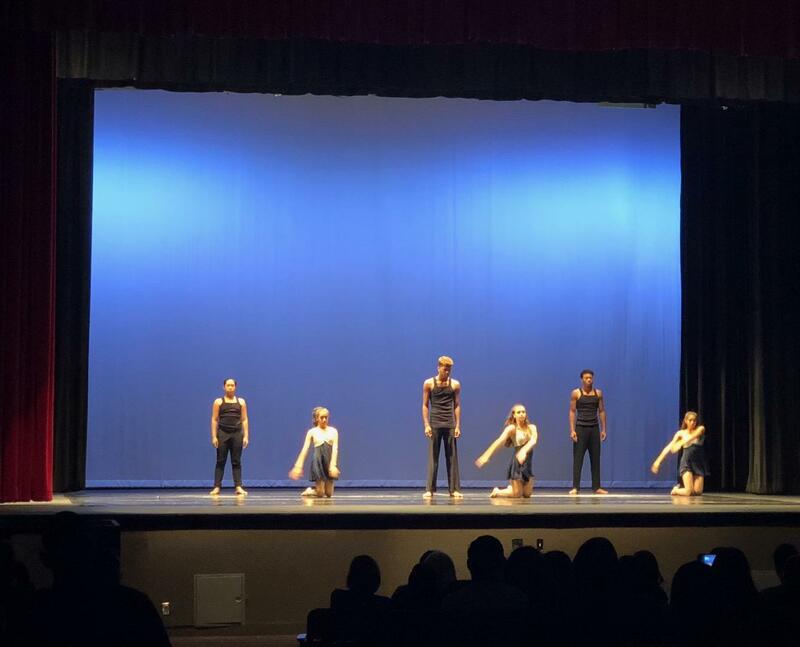 Students recognize the arts as an essential part of the curriculum and as an important component in the enrichment of their lives. 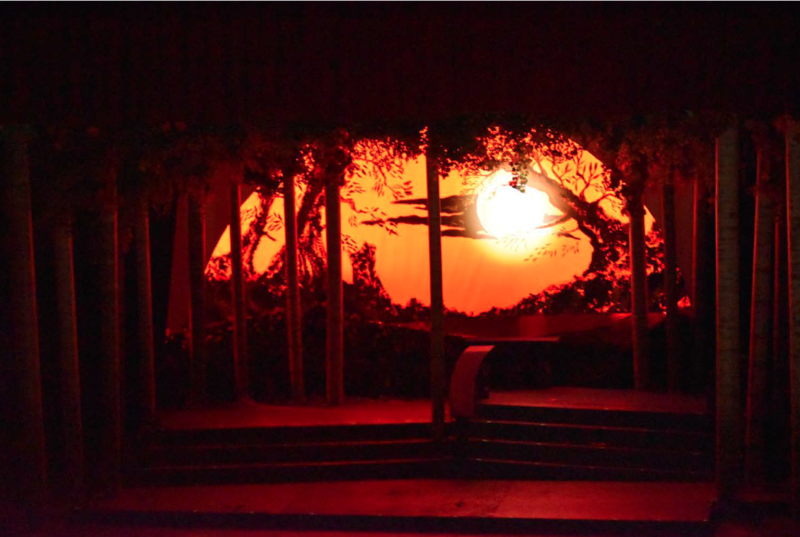 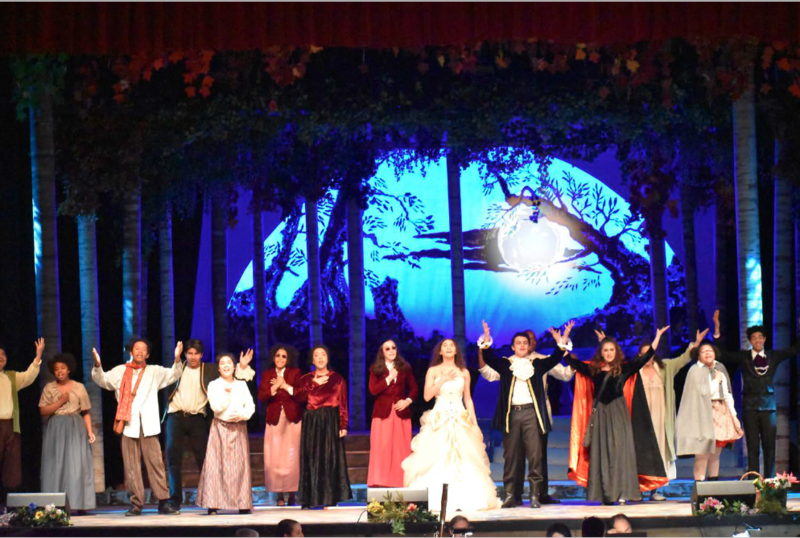 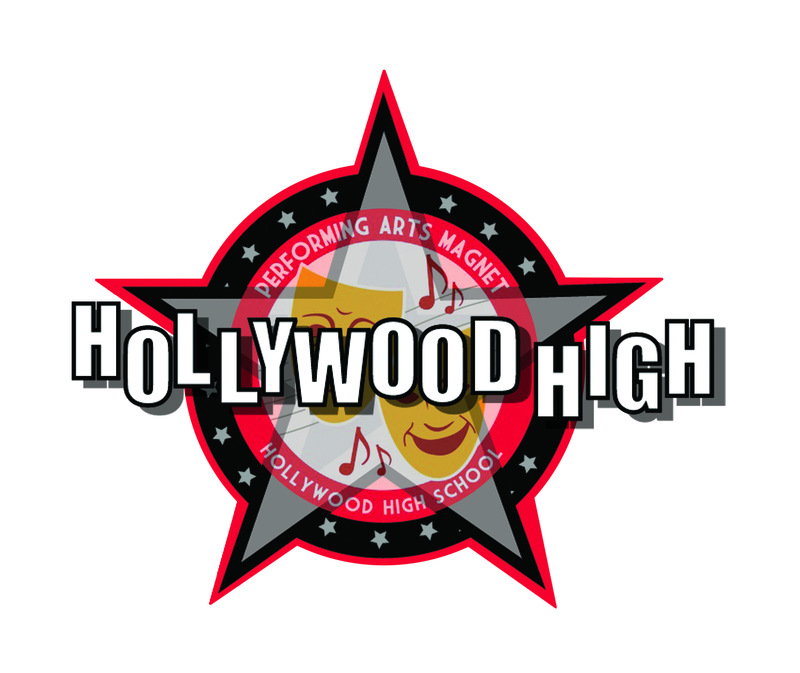 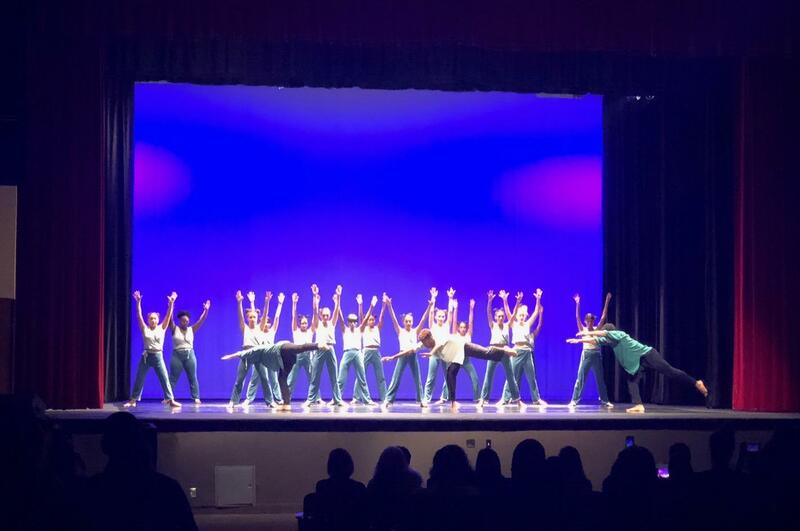 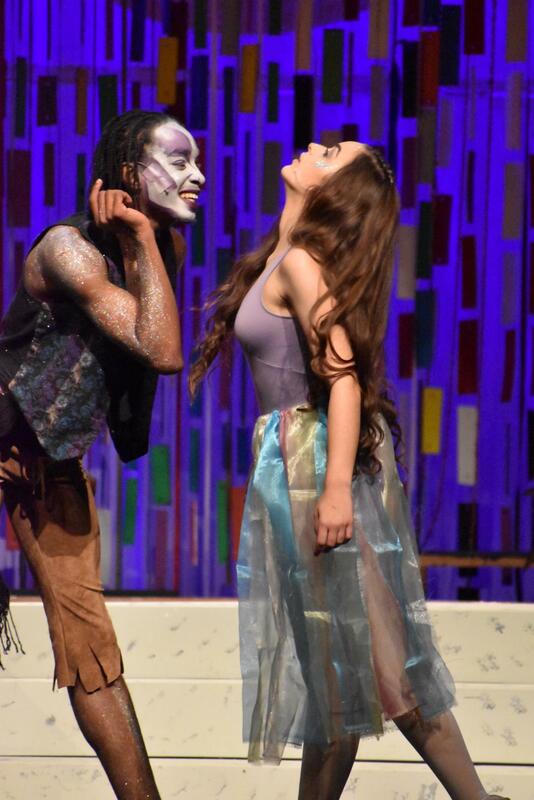 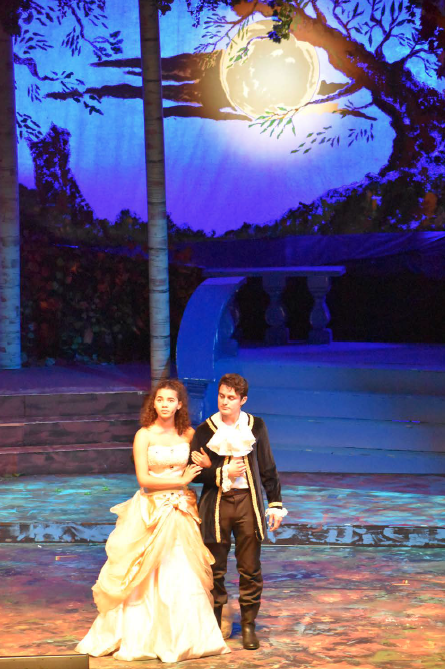 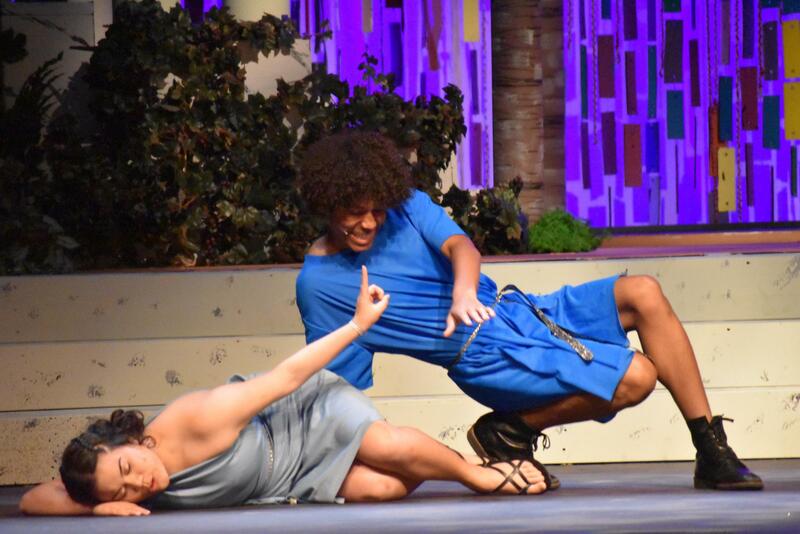 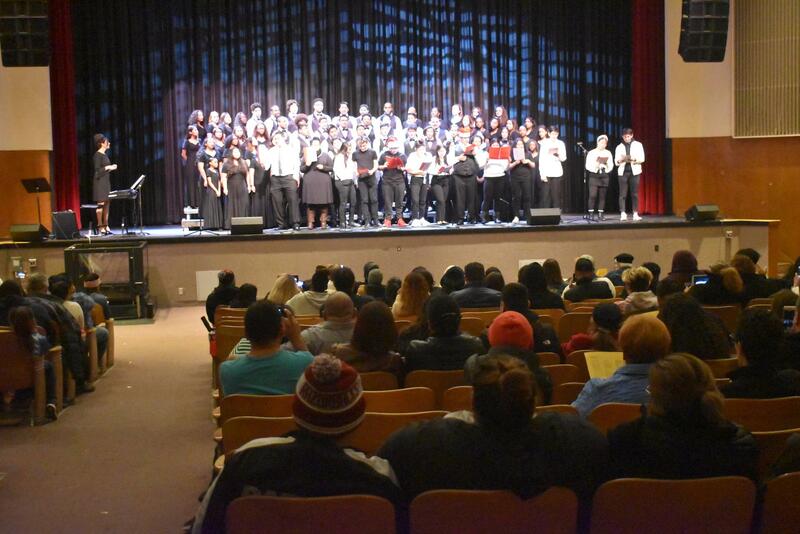 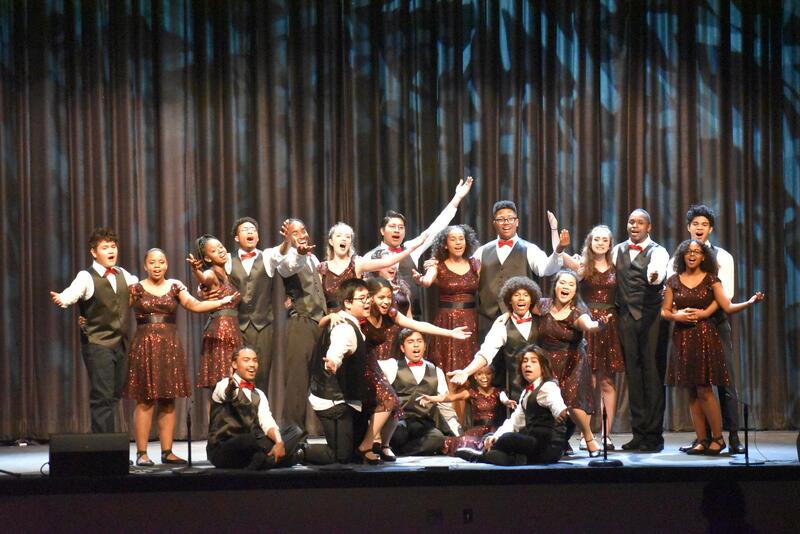 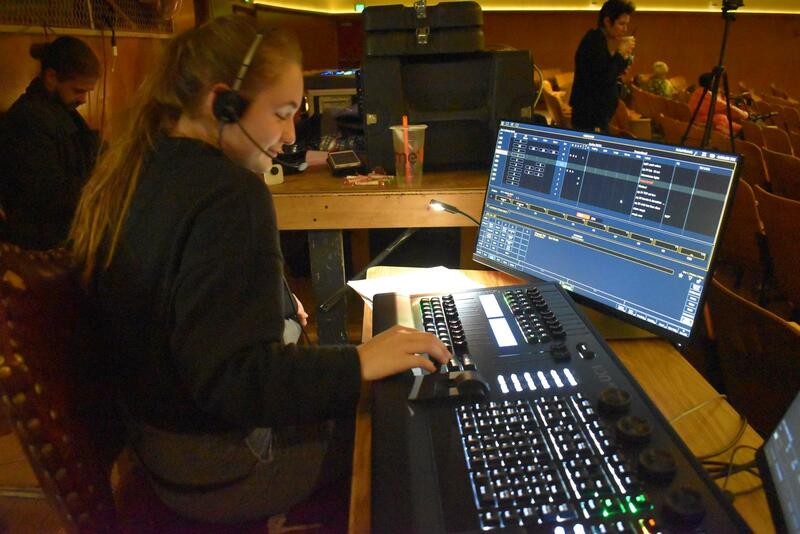 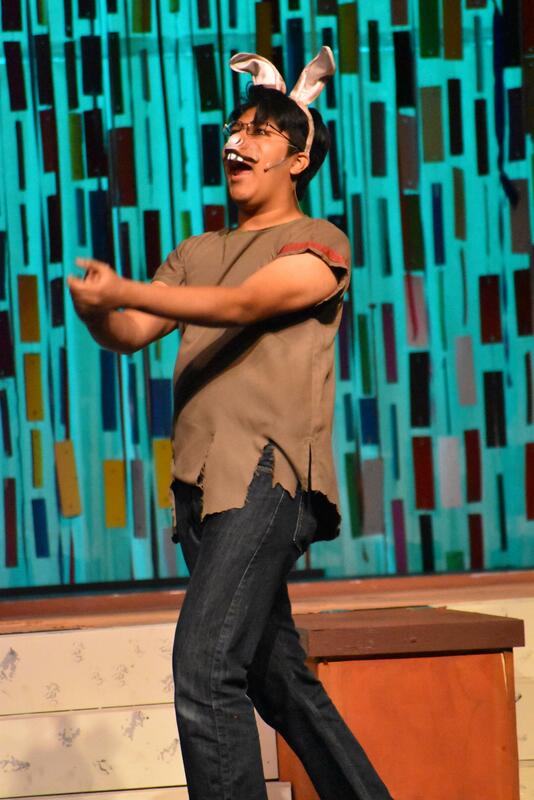 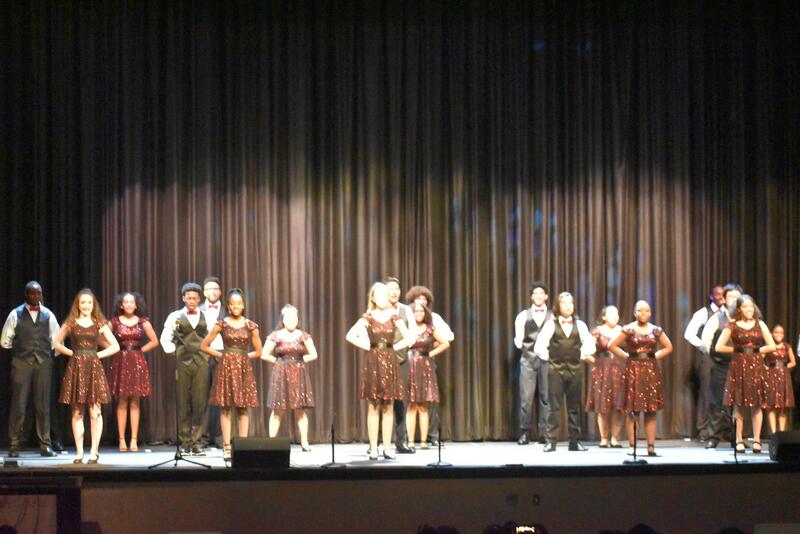 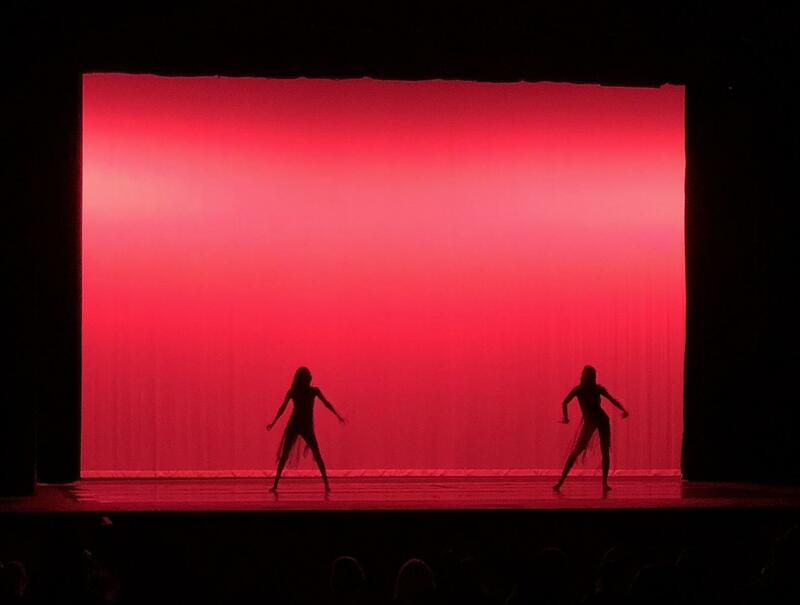 Hollywood High Performing Arts curricula include dance, drama, technical theatre, vocal, and film/digital graphics. 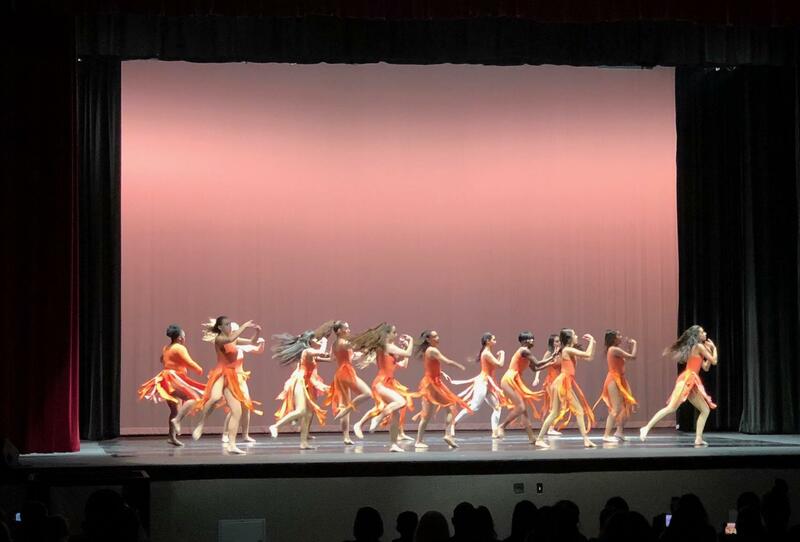 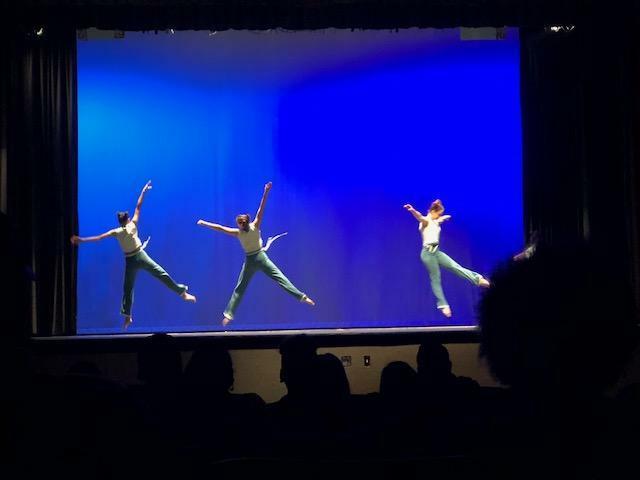 Classes are planned to address the broad range of individual differences, talents, and interests of all high school students and provide balance and enrichment to the total program. 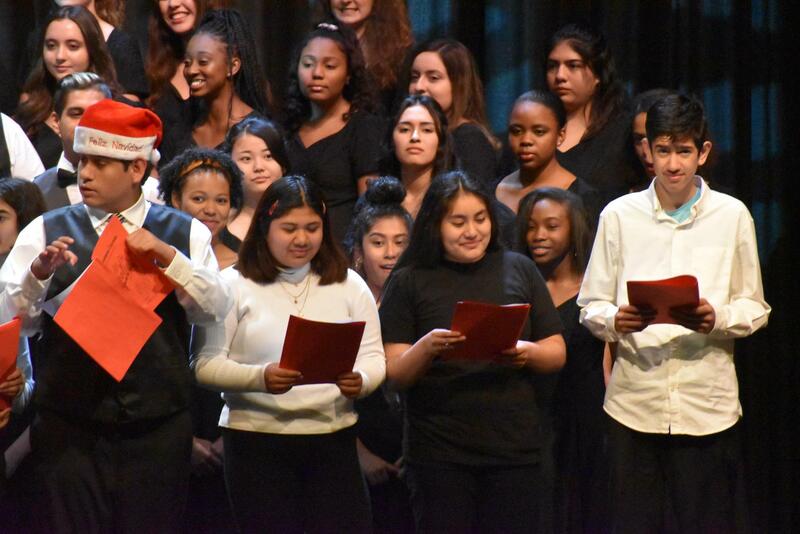 The development of unique intellectual, physical, social and emotional response through both verbal and nonverbal communication is reflected in the curriculum. 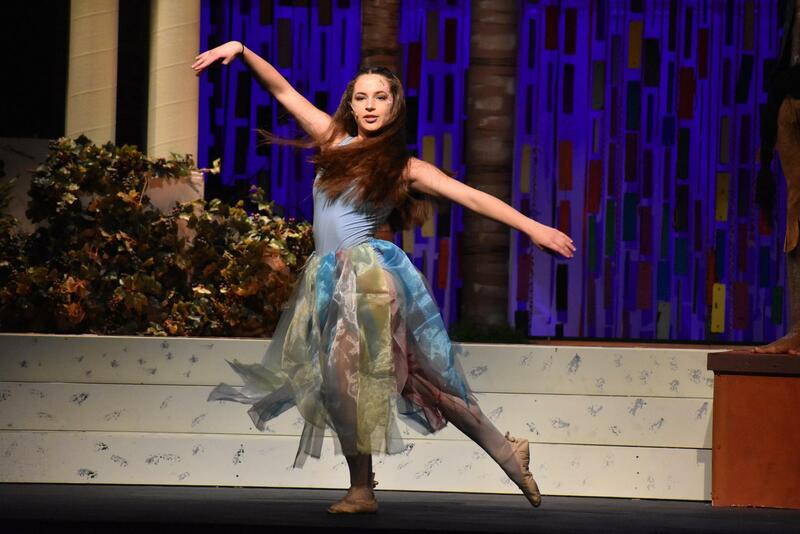 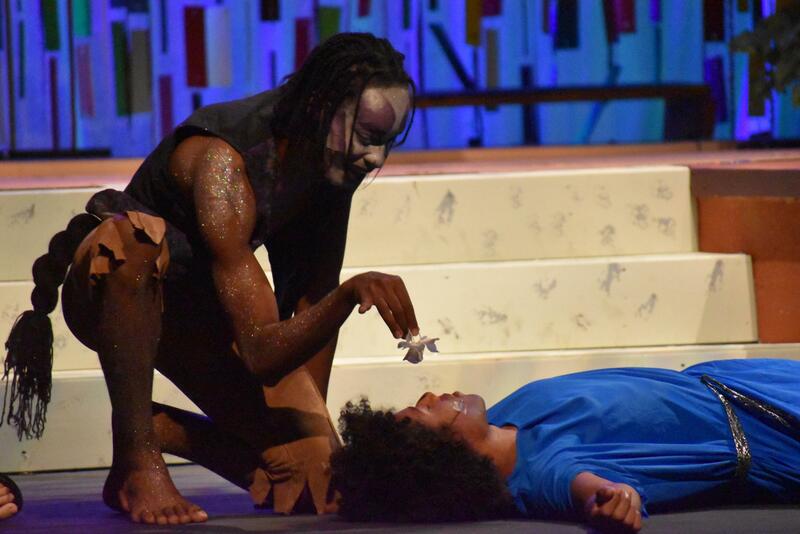 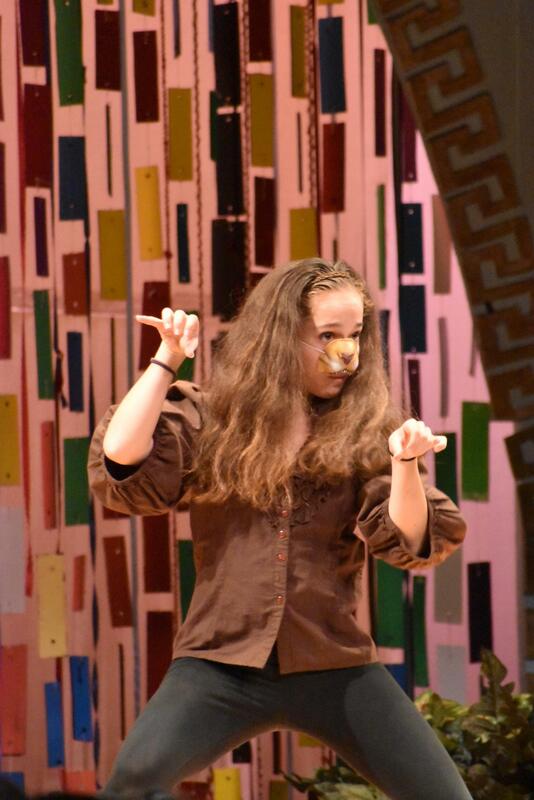 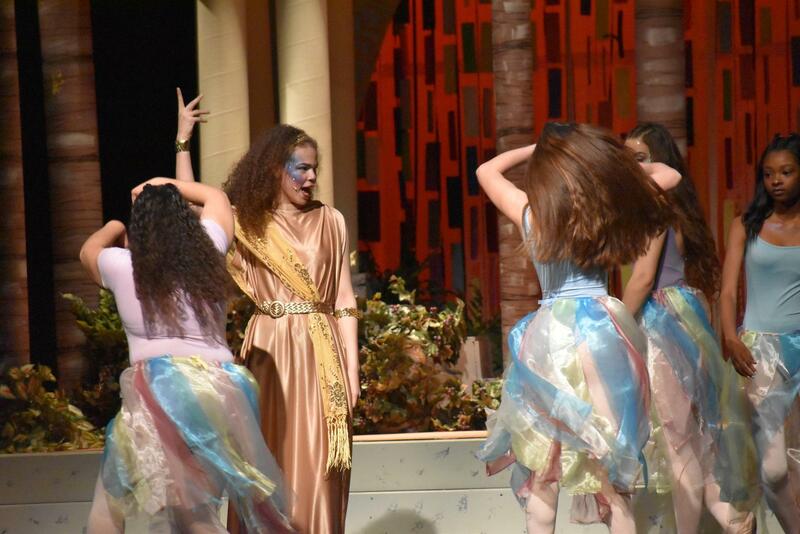 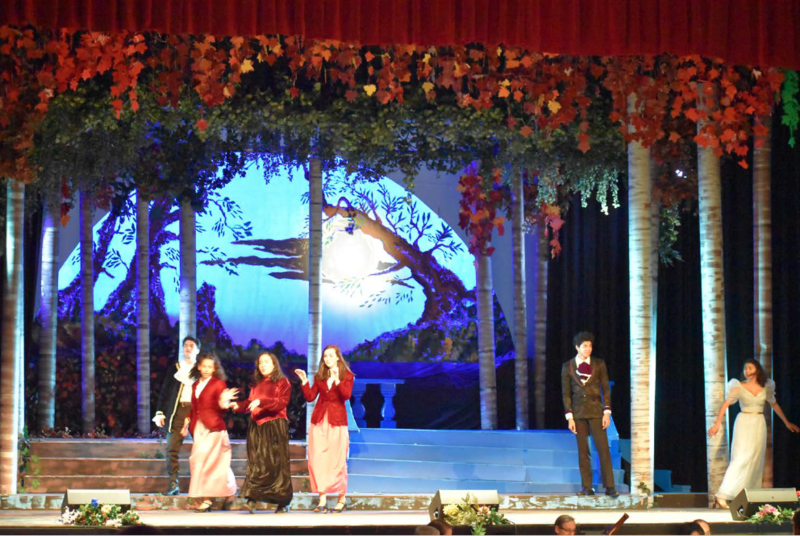 The performing arts curricula are systematic and are articulated through the grade levels 9 to 12. 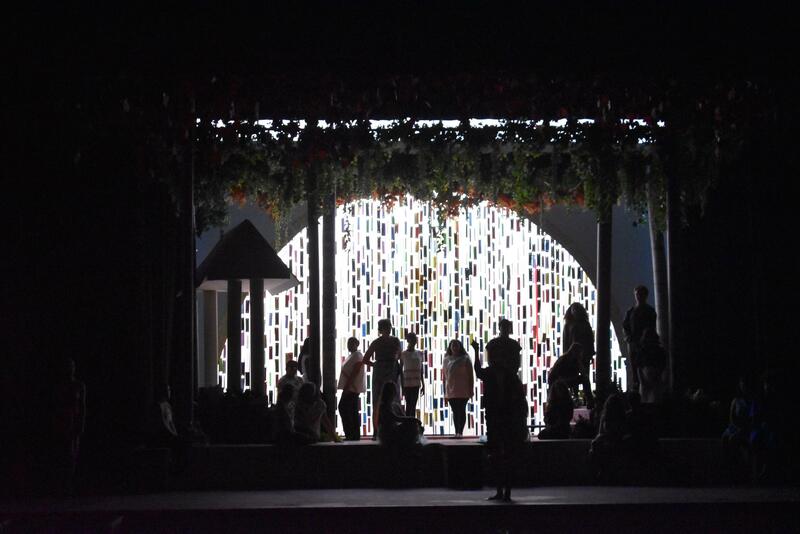 They include aesthetic perception creative expression, historical and cultural heritage, and esthetic valuing. 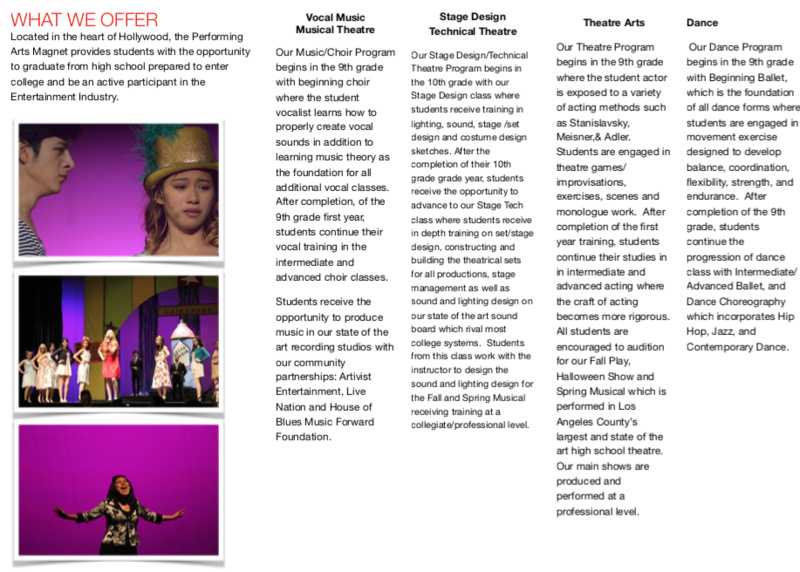 These are the fundamental components upon which all instruction in the arts is based. 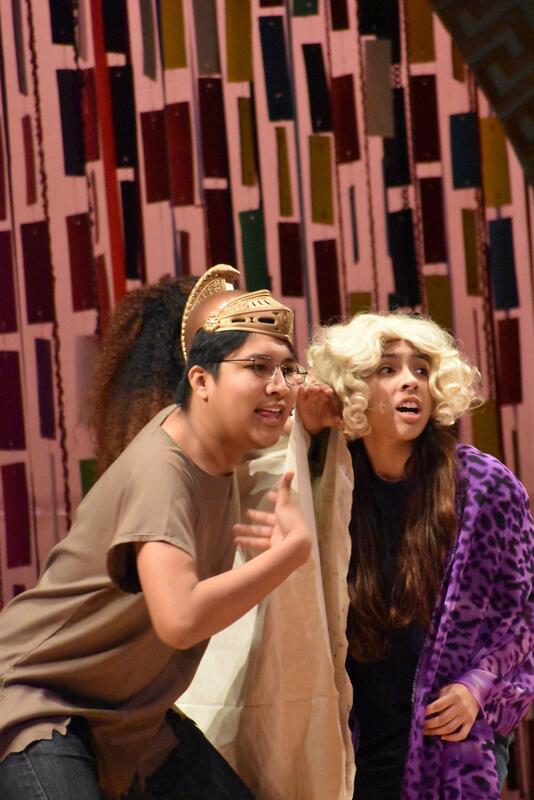 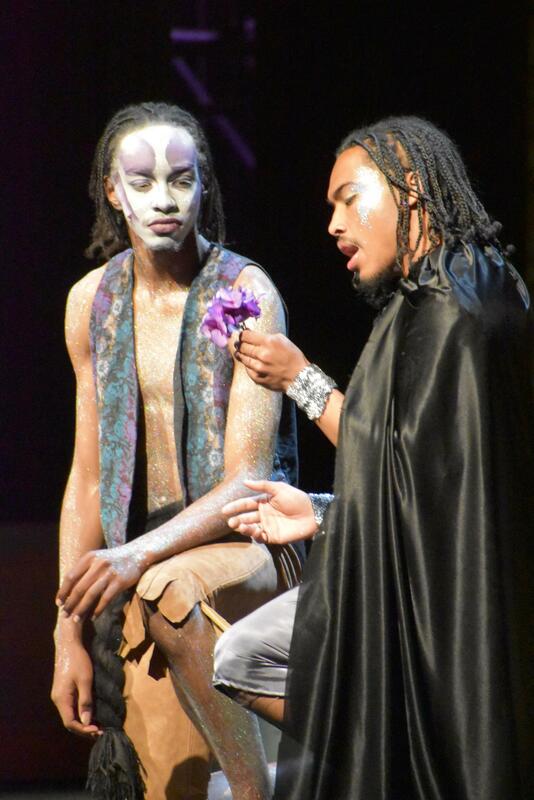 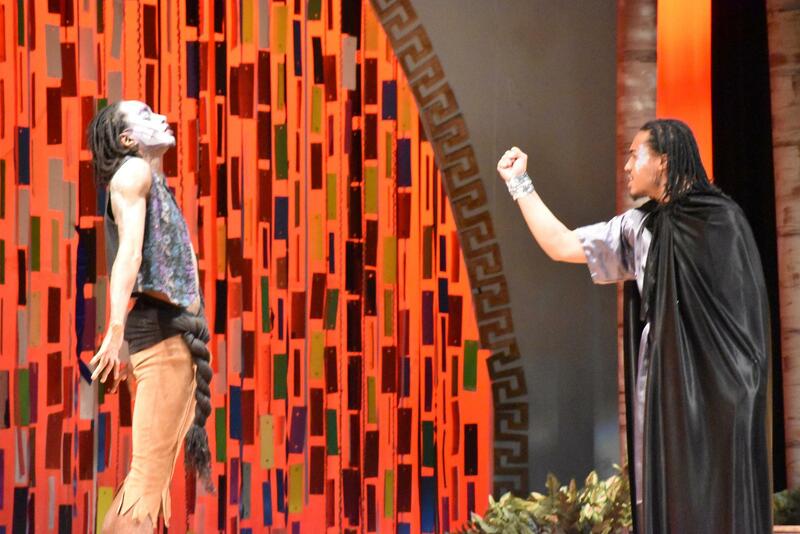 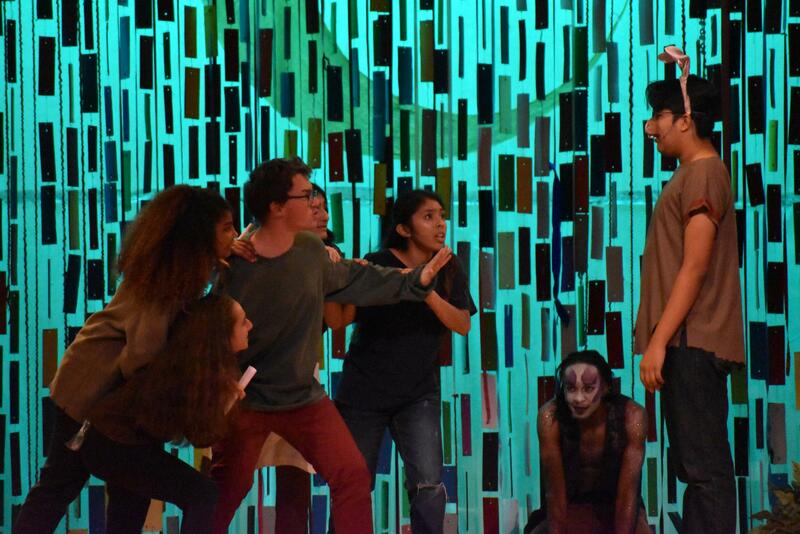 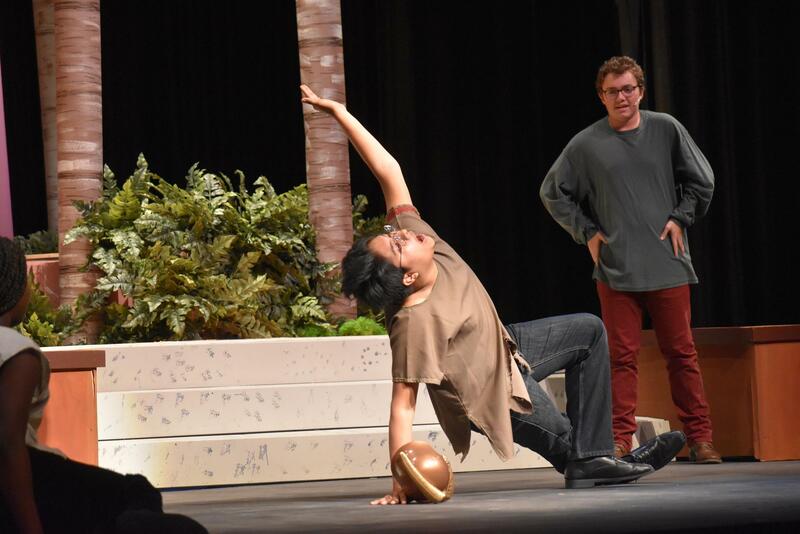 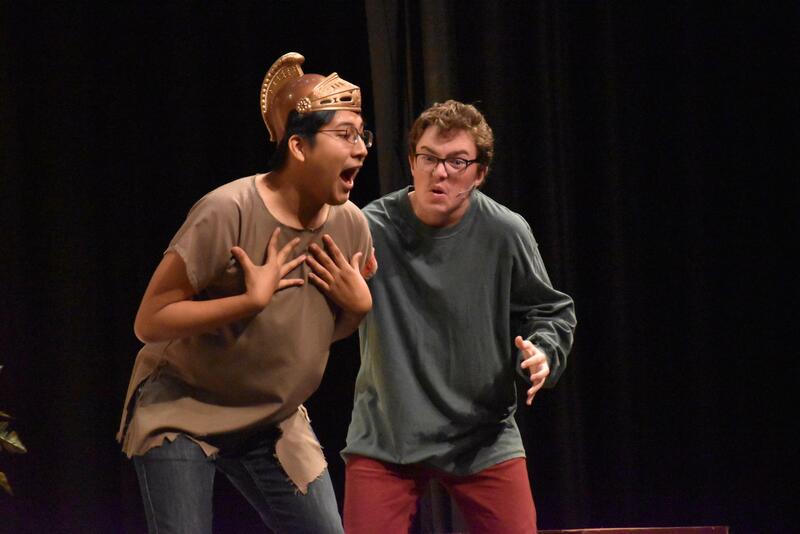 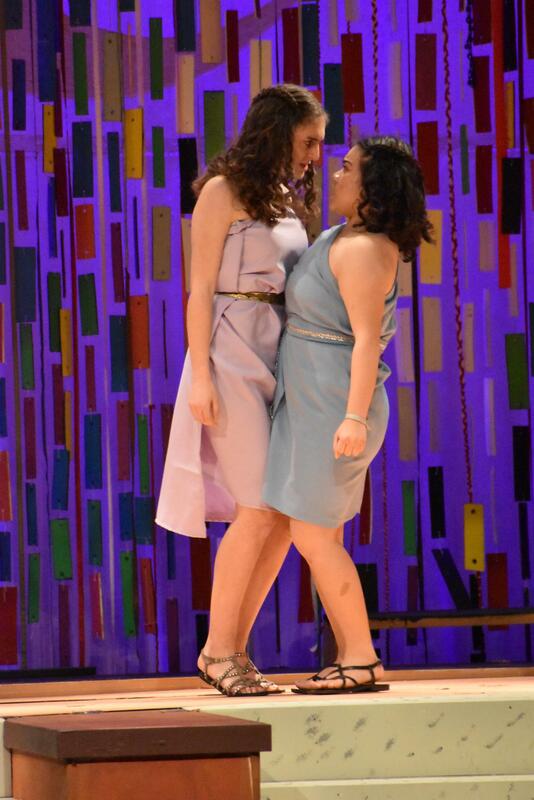 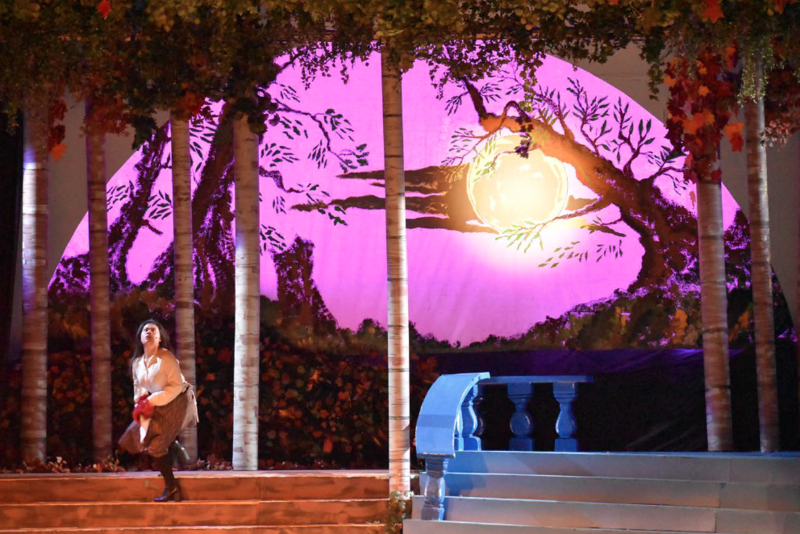 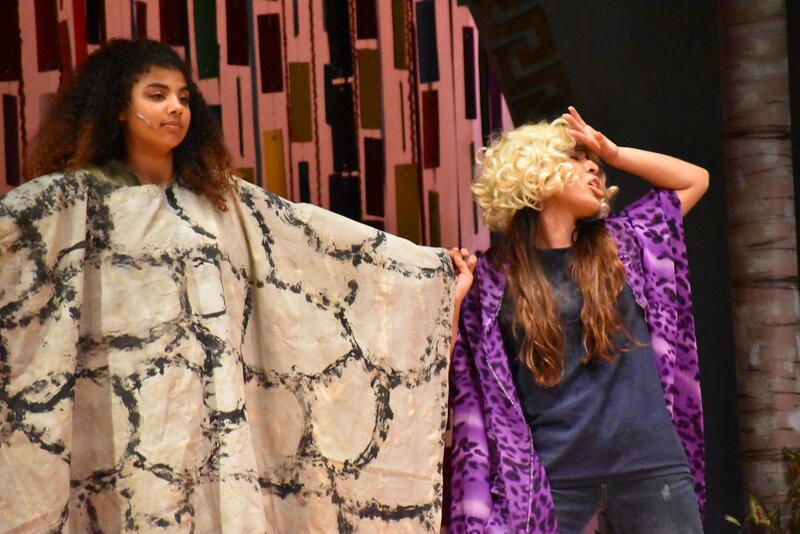 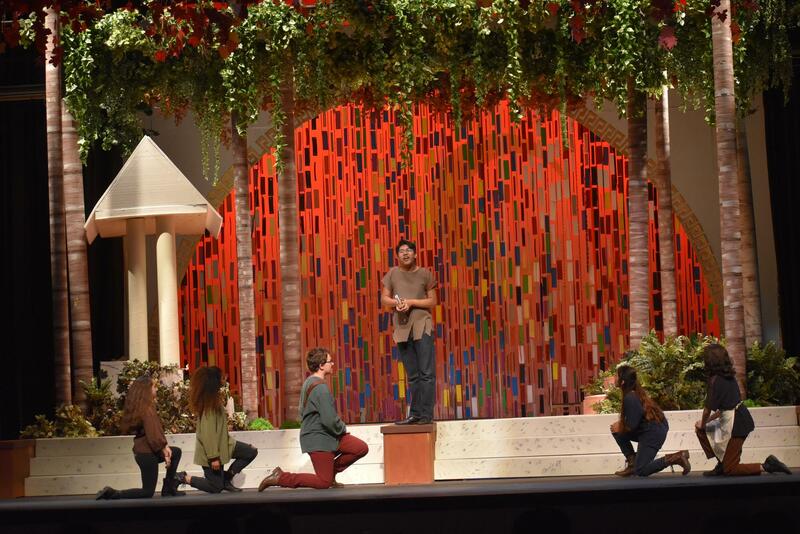 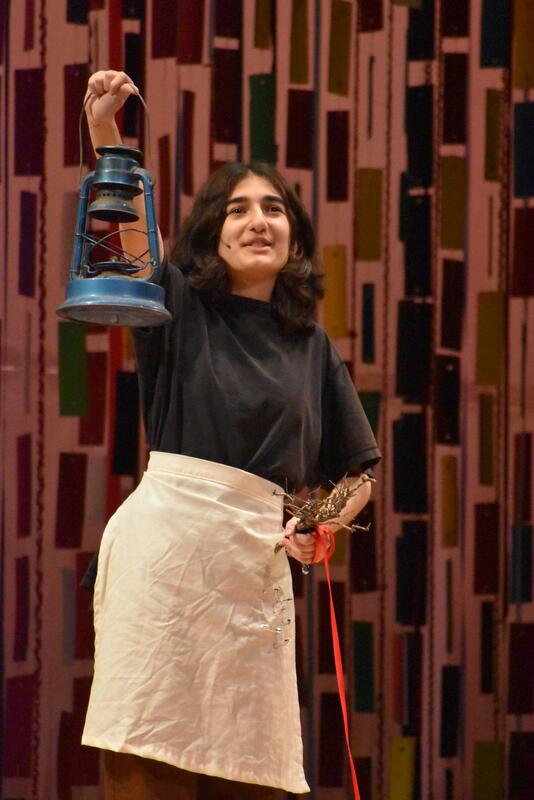 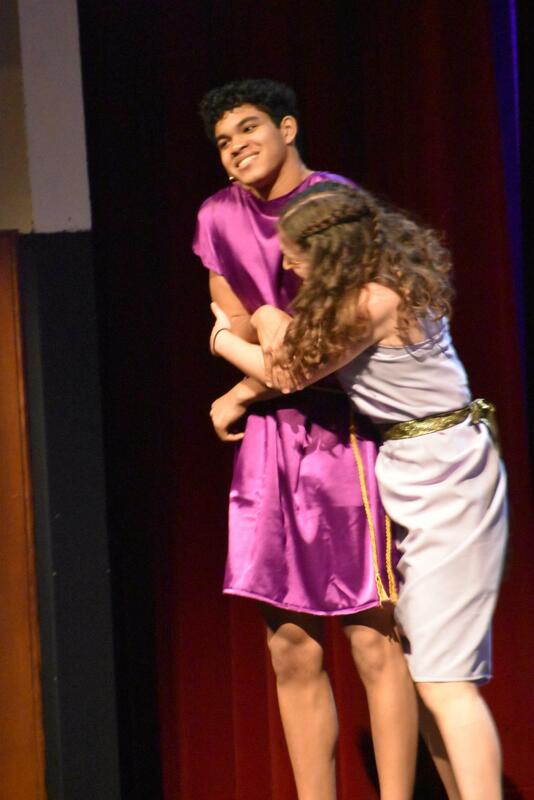 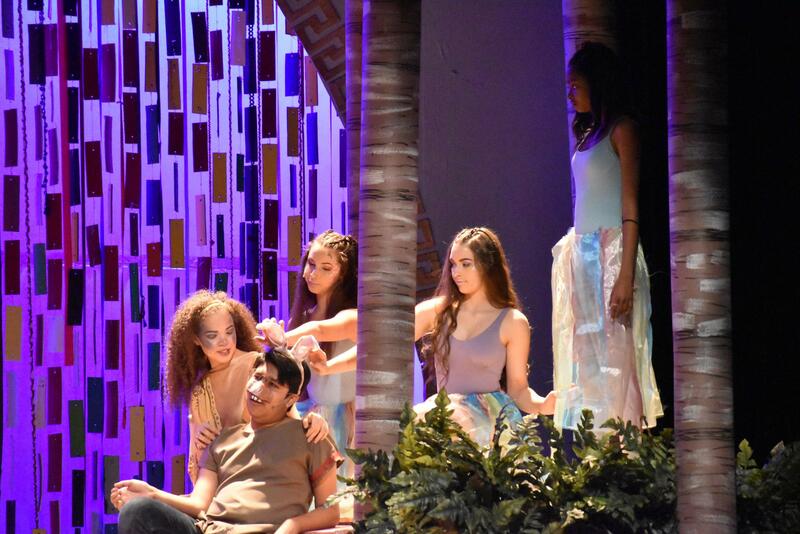 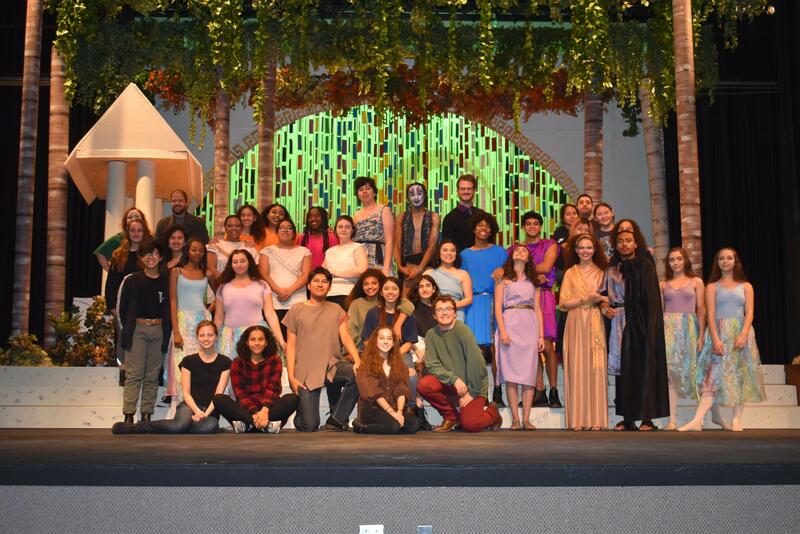 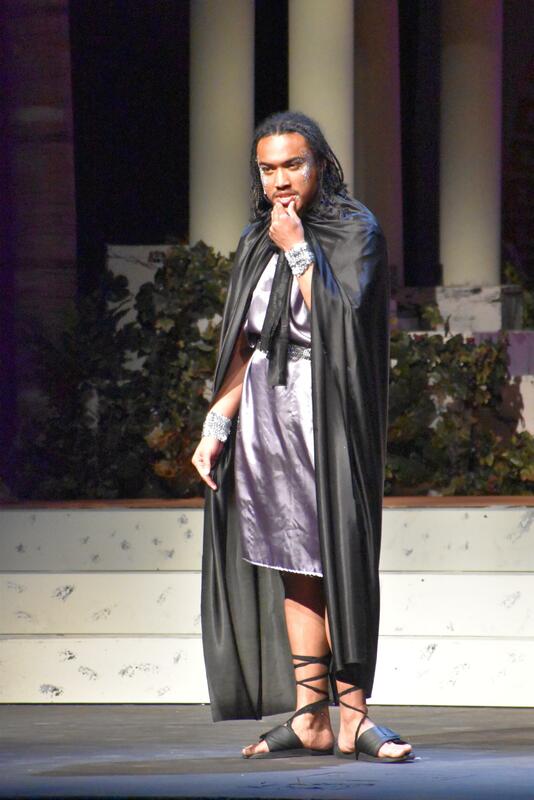 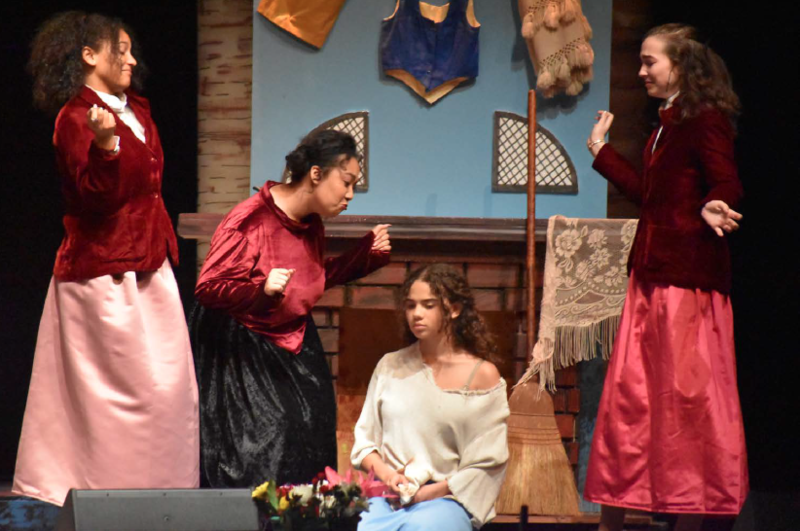 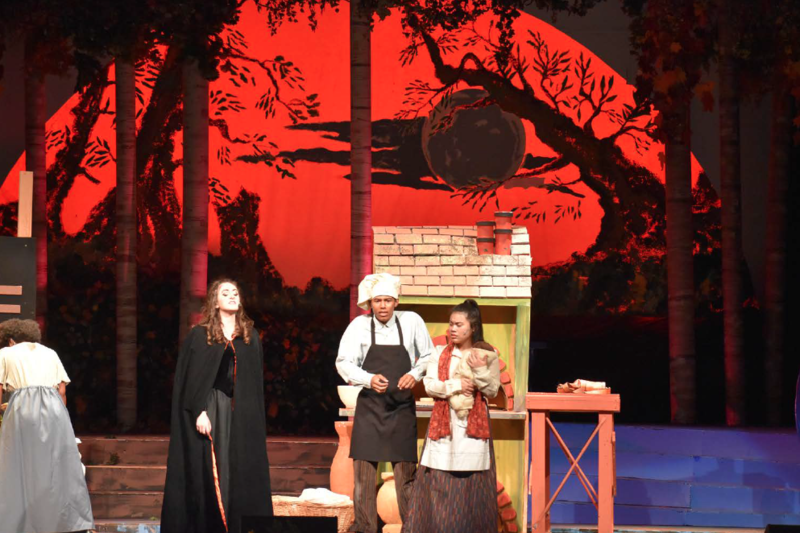 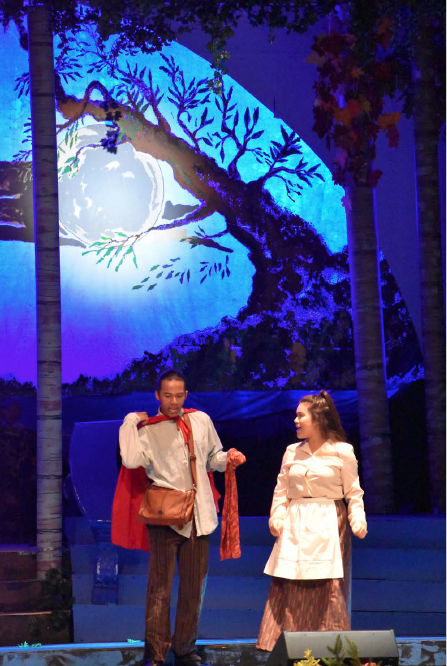 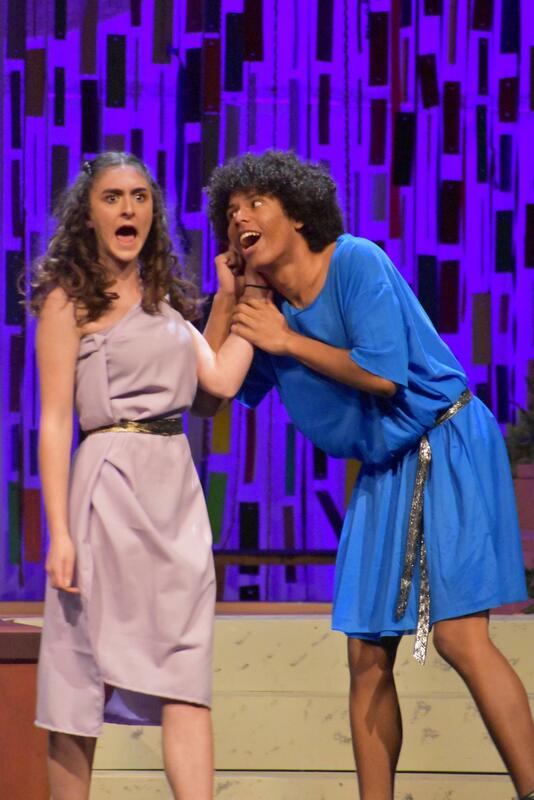 Drama - Drama A, B, and Play Production: Students will analyze the structure; plot characterization, and language of plays, both as a literary document and as a theatre production. 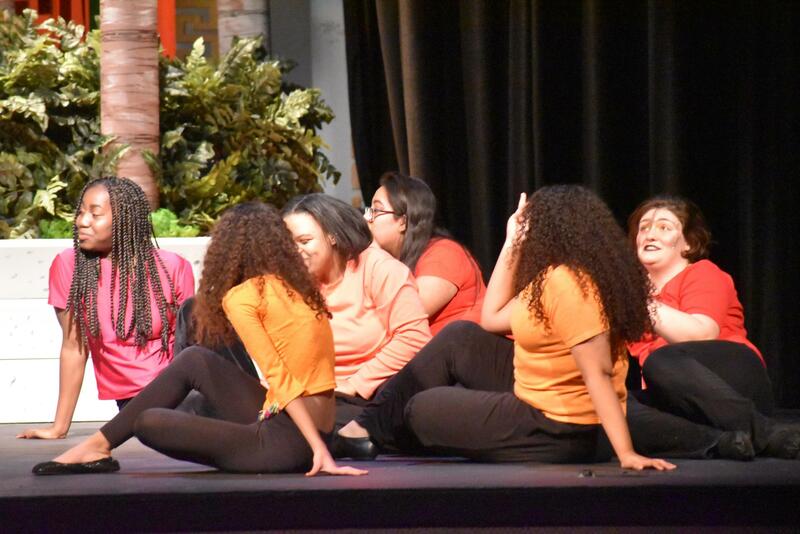 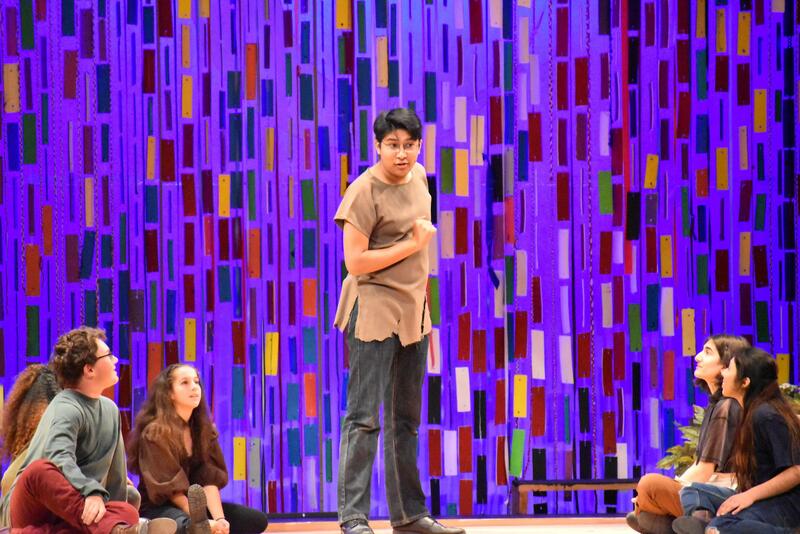 Students will demonstrate a proficiency and self-expression by acting in a play, by improvising, by writing a play, or by direction or working behind the scenes of a theatre production. 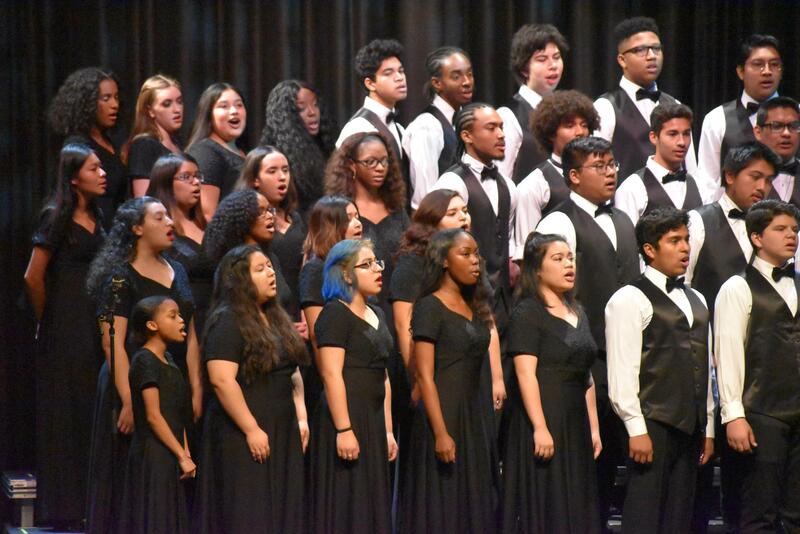 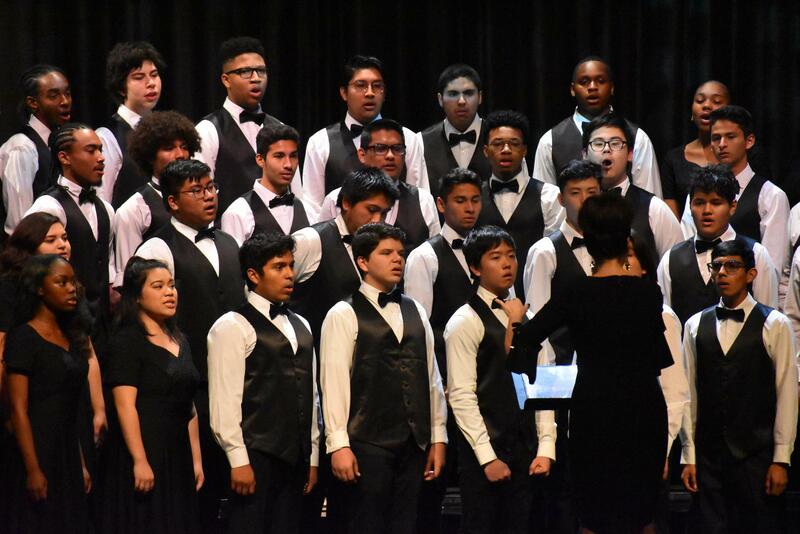 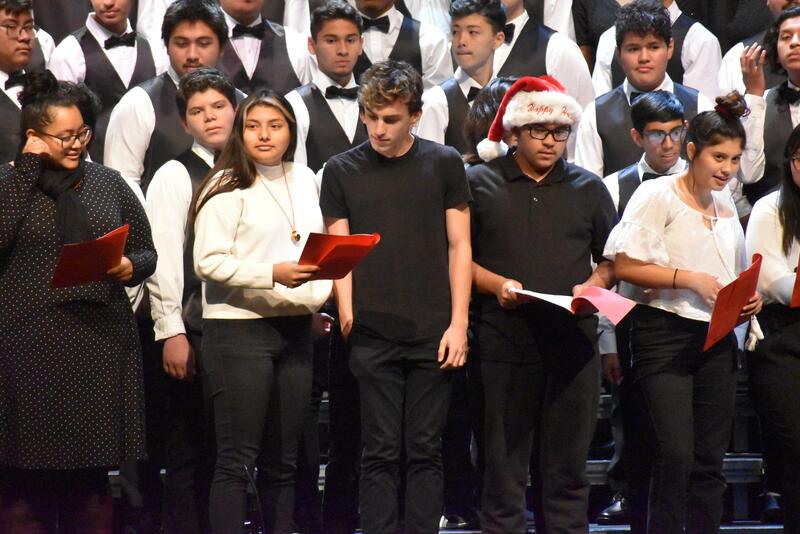 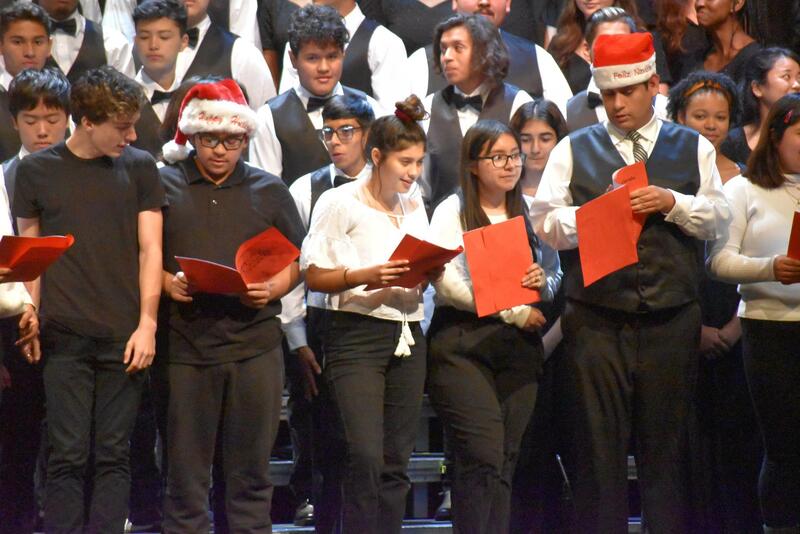 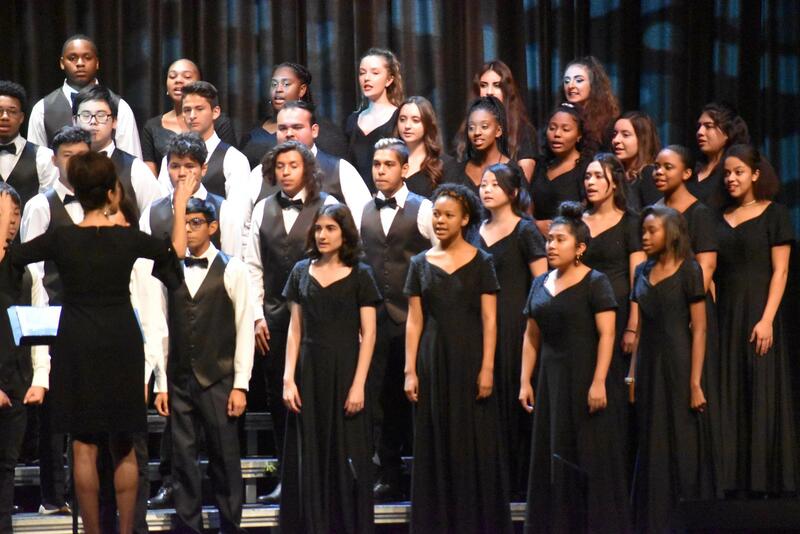 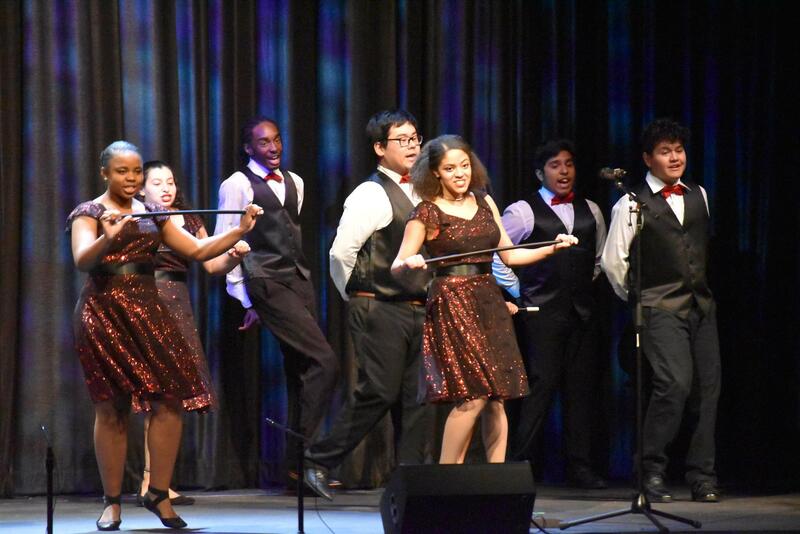 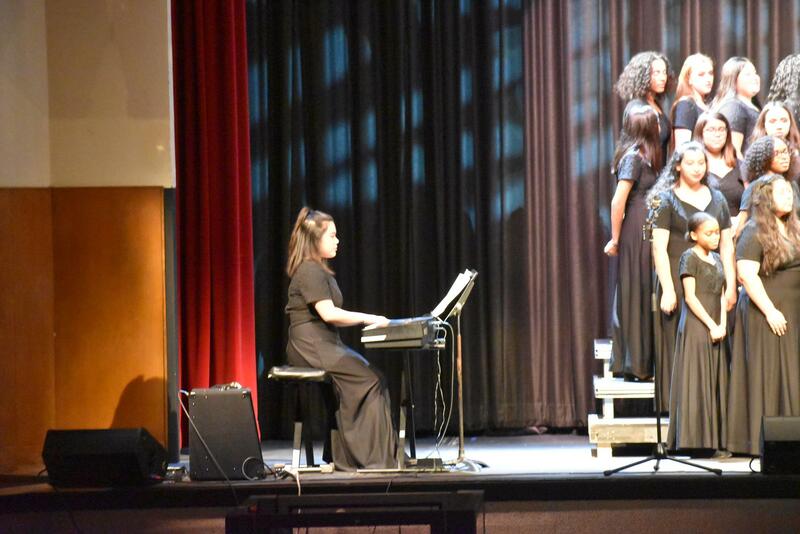 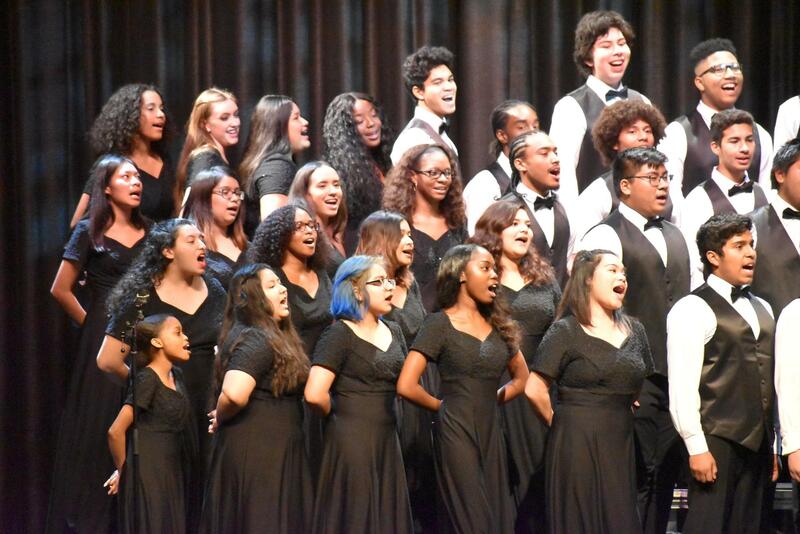 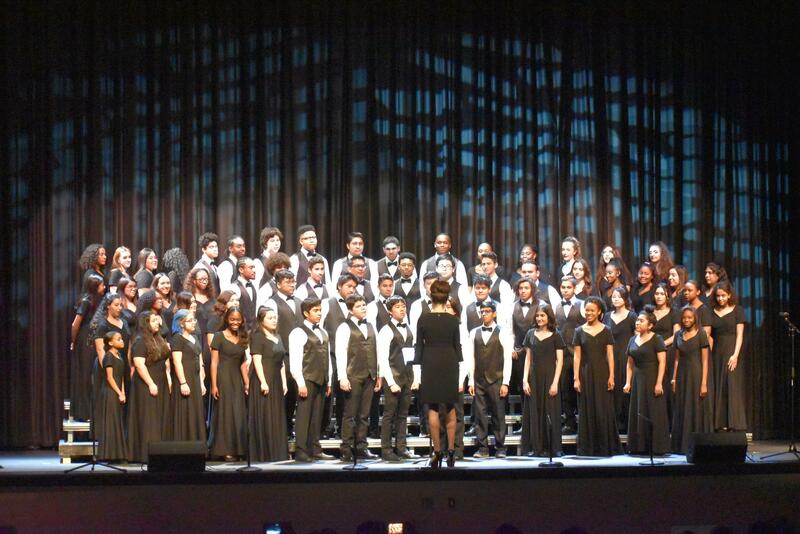 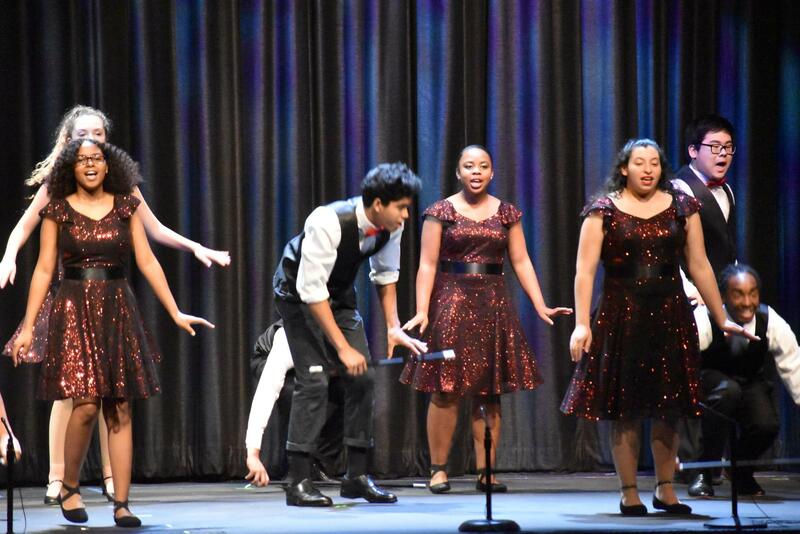 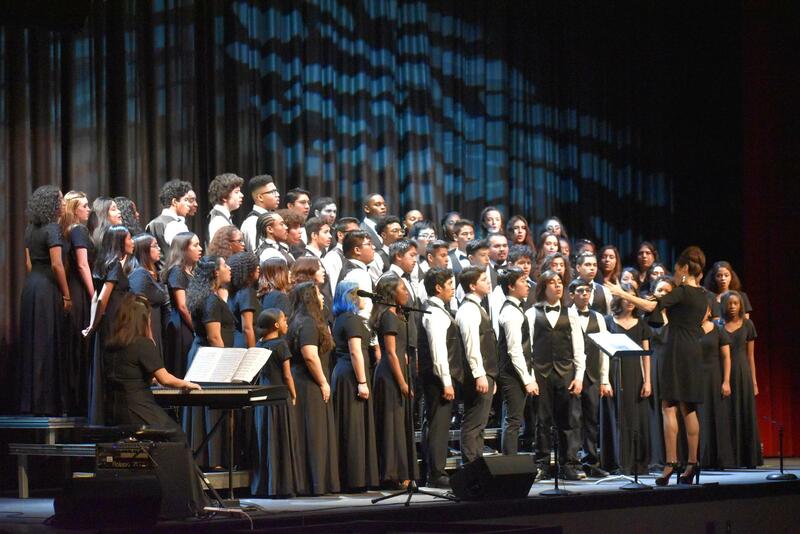 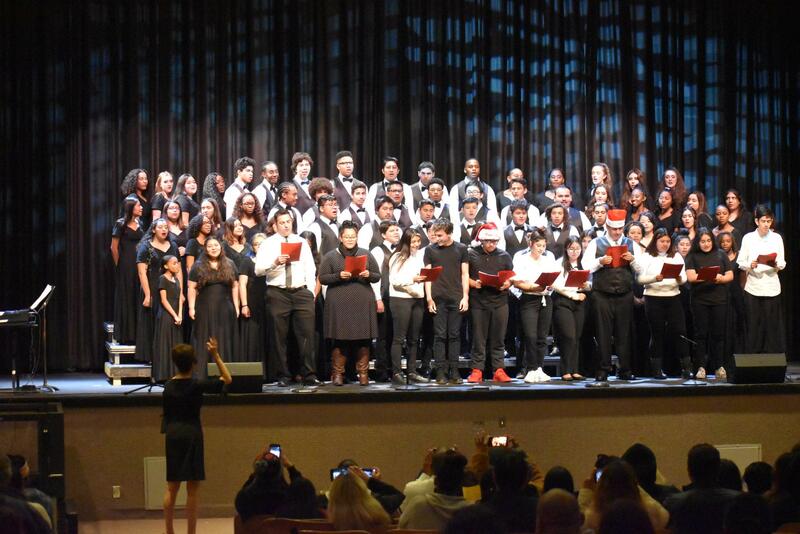 Vocal Music - Choir A, B, and Vocal Ensemble: Students learn how to express themselves by demonstrating proficiency singing in a group or individually, or composing music. 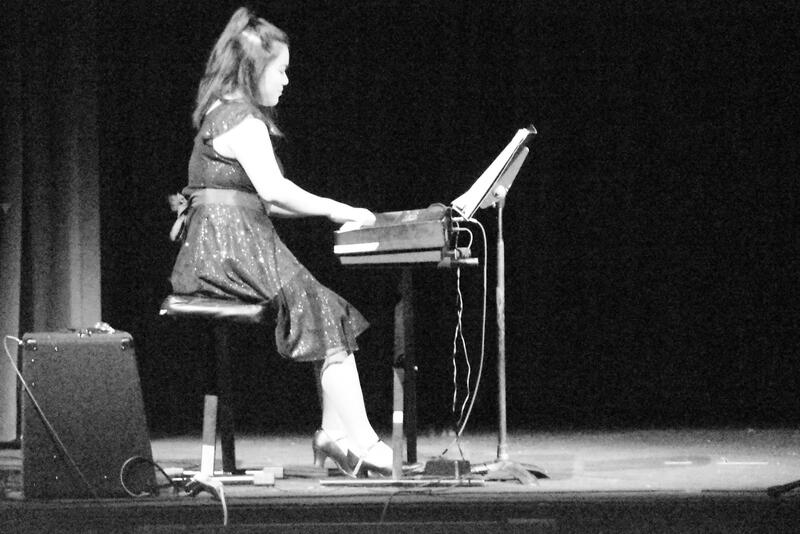 Students evaluate a musical work or performance by listening perceptively to music, distinguishing such elements as pitch, rhythm, timbre, harmony, and dynamics. 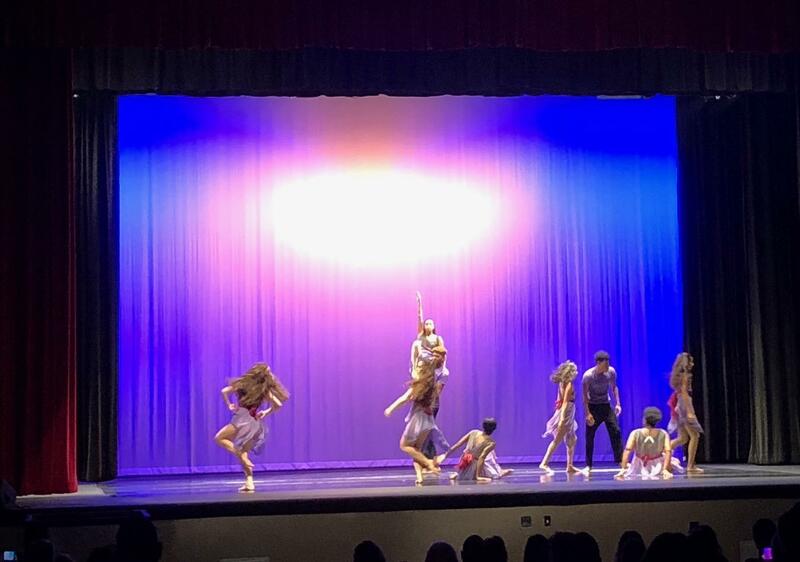 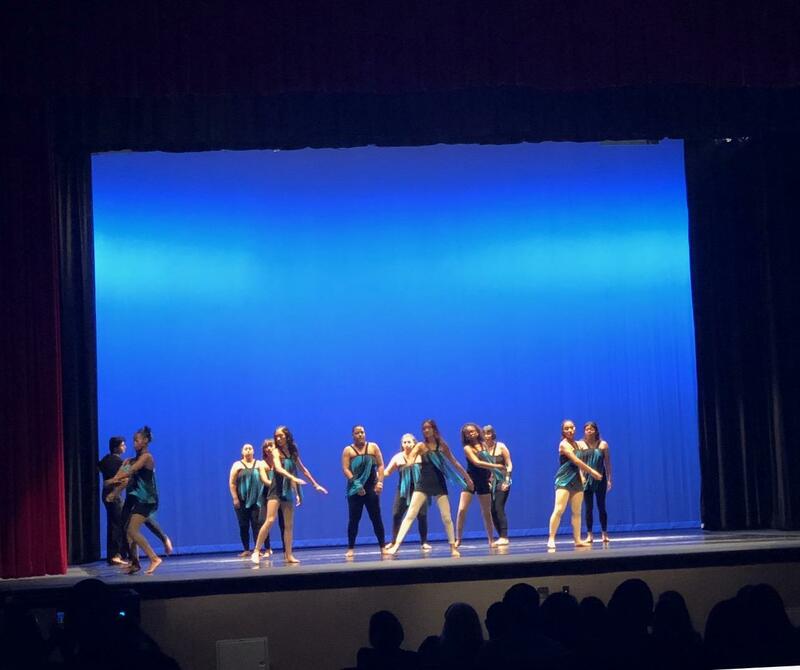 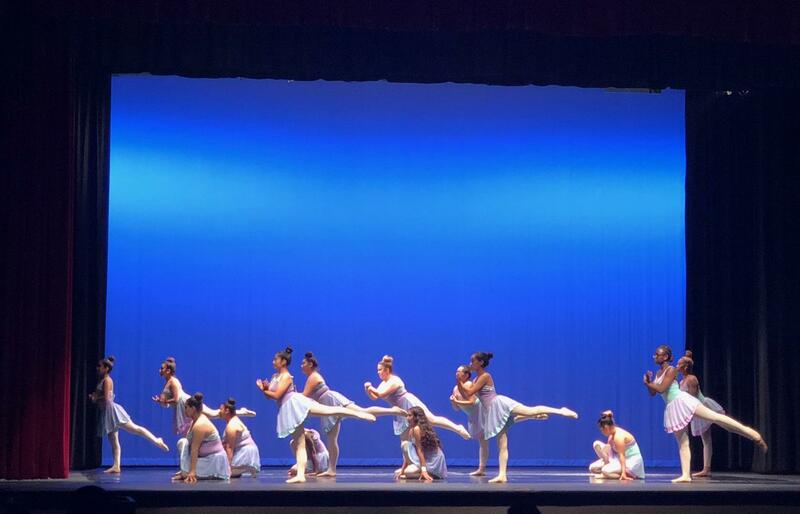 Dance - African, Afro-Cuban, Classical Ballet, Neo-form/ Hip Hop, Jazz, Latin (Flamenco, Contemporary, and Modern). 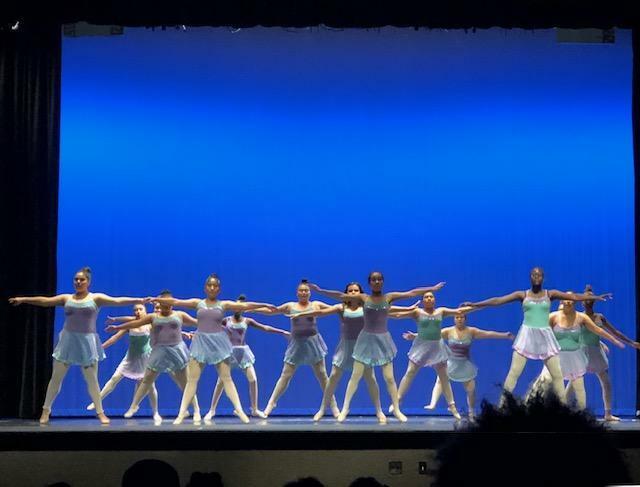 All levels: beginning, intermediate and dance production. 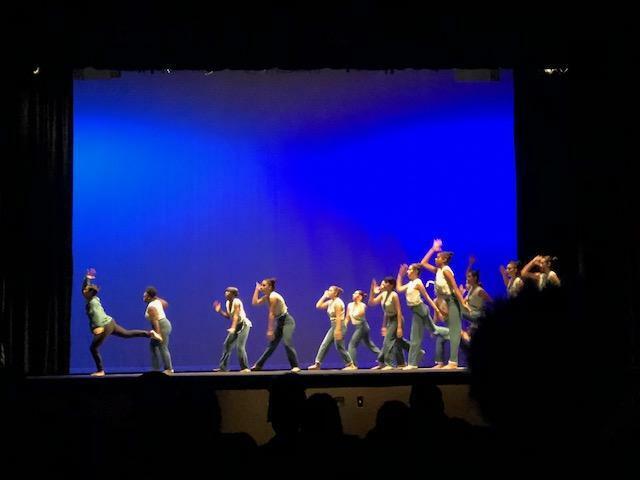 Students express perceptions, feeling, and original movement in dance images, improvisations, compositions, or choreography. 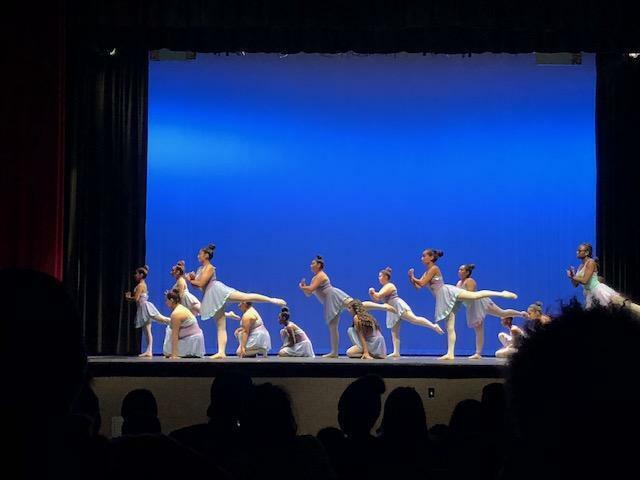 Students analyze various techniques, styles, and choreographic forms. 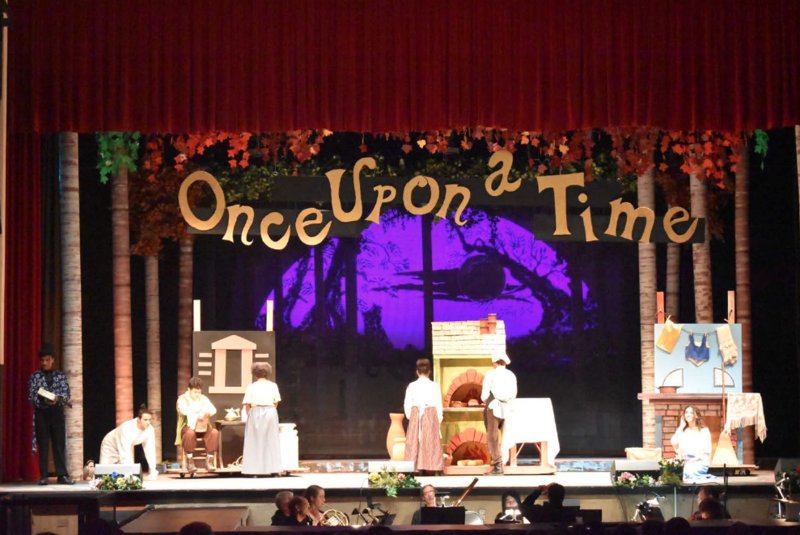 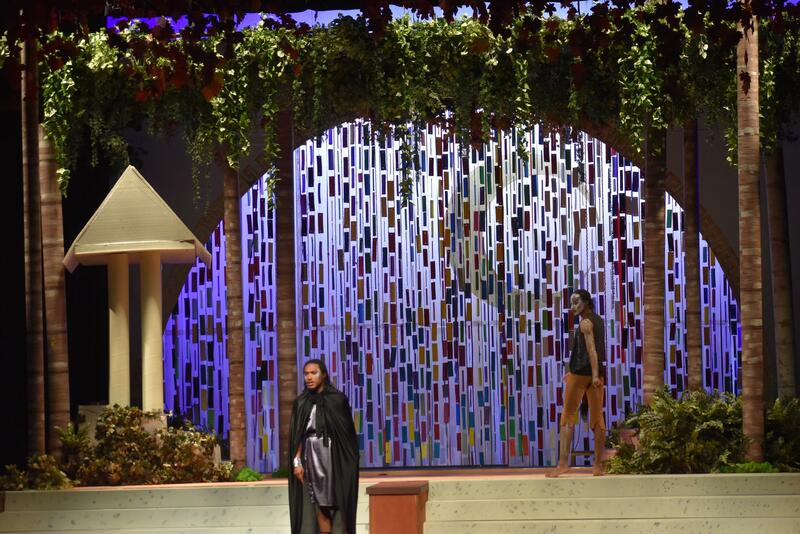 The school utilizes both human and material resources to expand its educational program in the arts. 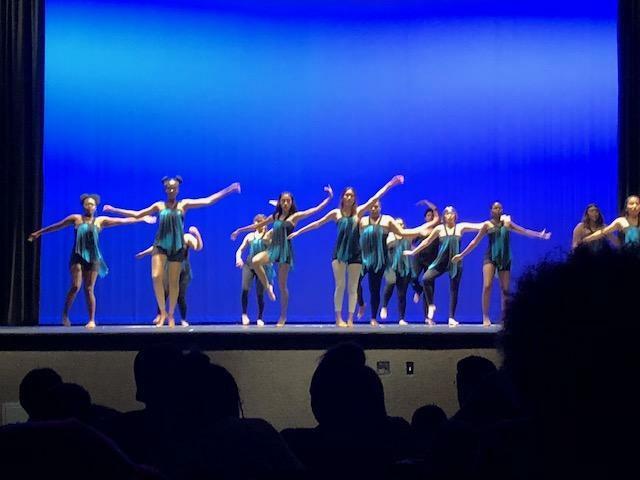 The resources beyond the school may include professional artists; agencies/organizations; universities and colleges; and libraries; local, regional and state arts agencies/organizations; senior citizens; and business and private industry. 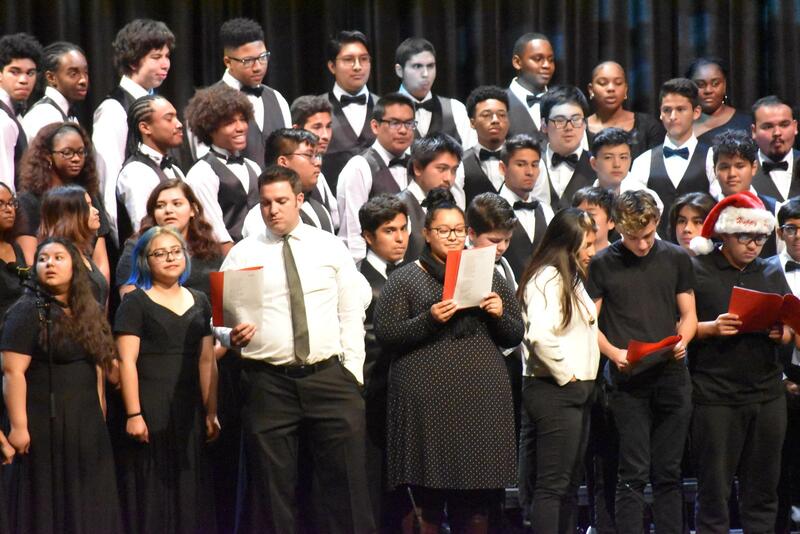 These resources are utilized in a spirit or collaboration so that a mutually beneficial partnership is established between the district, school, and the community.